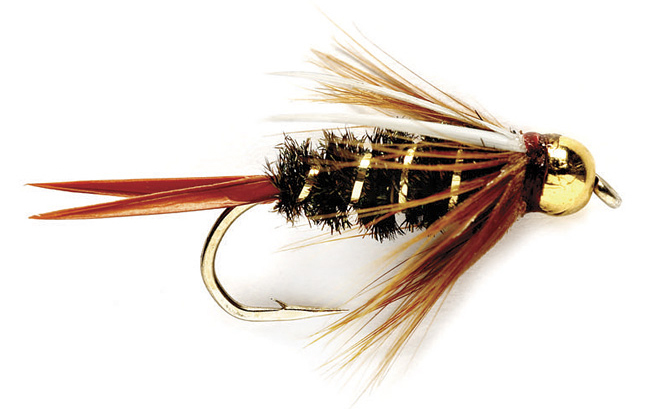 In fly fishing and fly tying circles, there are certain folks whose names have become synonymous with the quiet sport. These talented men and women have contributed to our piscatorial passions in such a way as to impact nearly every bug chucker who followed after them. Lee Wulff, Carrie Stevens, Gary LaFontaine ... I could go on ad infinitum, and I'd be willing to bet you would know most every name I mention. In my time, I've been fortunate to meet some of the folks that continue to contribute to the lexicon of our sport. Of these, I've become friends with a select few. One such person is a young man whose emergence as a fly tyer of note has been nothing short of volcanic. Pat Cohen and I have corresponded for well over a year. We've even had the good fortune to fish together on one of my favorite rivers. As you may know, Pat's work with deer hair is nothing short of extraordinary; he has an exceptional eye for color and proportion. What is most inspiring - or perhaps a better word may be, humbling - about Pat's work is the simple fact that he has only been tying for a short while. Pat first picked up a bobbin just over two years ago, and already his work has been showcased on various bug chucking blogs (including my own), in the pages of fly fishing and tying magazines, and at The Fly Fishing Show in Somerset, New Jersey. Most recently, Pat has taken his tying commercial. 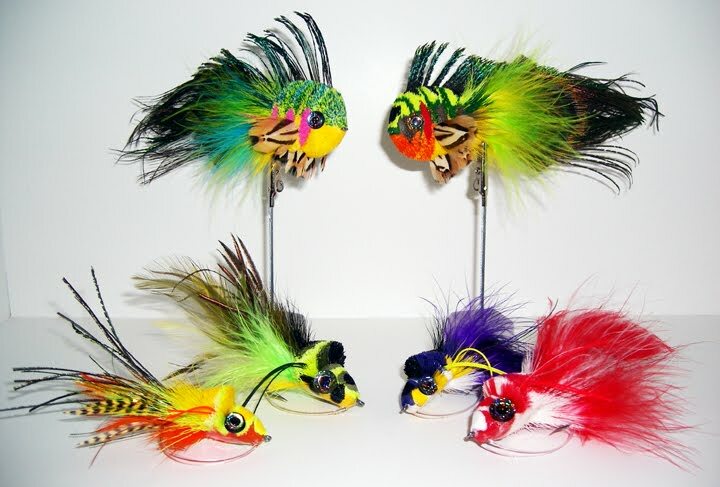 Some of Pat's most popular flies are now available through his website, R U SuperFly. Rest assured that while each of Pat's creations is suitable for framing, they're intended - each and every pattern listed - to be fished and fished hard. I've cast one of his deer hair mice for nearly an entire season, and the fly looks almost as good now as it did on the day he shared it with me. Please take some time to check out SuperFly's site, and know that if you've a few dollars to spare they would be well spent on any of Cohen's bugs. She probably weighed an honest 18 or 20 pounds, but I never brought the fish to hand so I guess I've the luxury of suggesting that she may have been heavier. Across the back, she was thick - at least as thick as my thigh, and I am 6' 3" tall and weigh in at 290 pounds. Her tail looked like a Geisha's fan as it danced through the air in wide circles above the shallow tailout of the pool. I remember thinking that fin would have been as wide as both my hands if I were to place them side by side with fingers spread. I suspect she knew I was a rookie. At the very least, she took full advantage of the fact that I was a rookie. 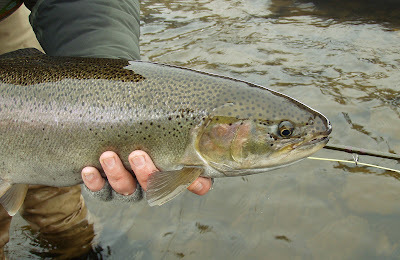 The first steelhead I ever hooked was likely the biggest steelhead I've ever hooked, and I never had her inside two rod lengths. What's amazing is that in the ten or twelve years between then and now, the memory hasn't dimmed or been otherwise distorted. 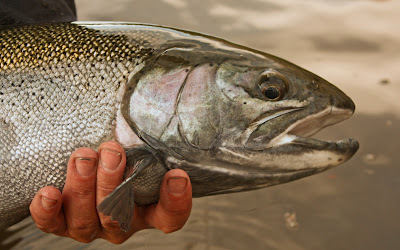 Naturally, the details on the periphery of the moment have been blurred just a bit, but every heartbeat of my connection with that fish is crystal, as clear as a Montana spring creek. While I cannot imagine our connection lasted more than 20 heartbeats, it's hard to be sure. 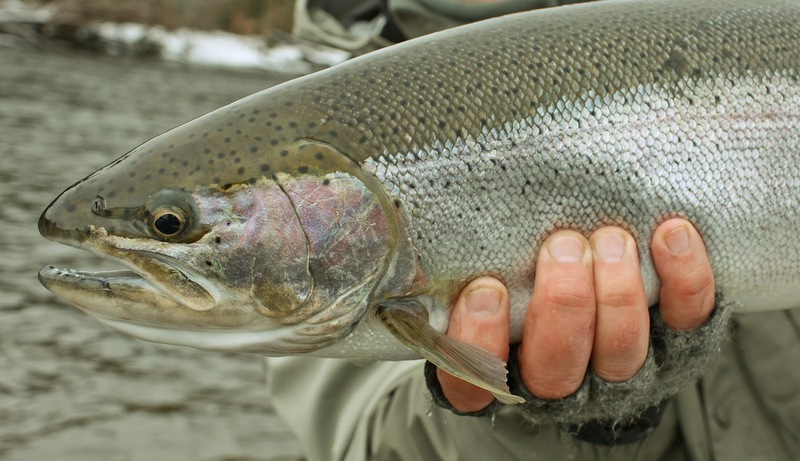 Time slows to a crawl when a steelhead takes a fly, the world moves frame by frame, and it's impossible to focus on anything but the fish. I suppose it's safe to say that my too few readers might assume I've spent the past decade trying to recapture what I experienced in the fleeting moments of that first hookup. If I were reading this blog and not its author, I would probably think the same, but nothing could be further from the truth. Yes. 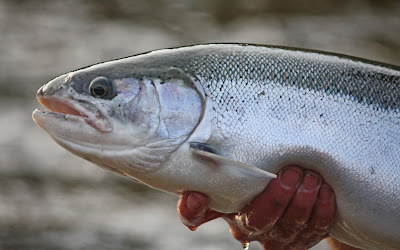 Fishing steelhead does have a narcotic effect, but unlike cocaine, steelheading does not give up the ghost and leave an angler forever chasing that original high. The thing about steelhead fishing - whether it's done with sucker spawn, classic speys, or even egg sacks I suppose - is that every time is new. Every time is original. Every time is exciting. Every time is unfiltered, undiluted adrenaline. Every time a steelhead takes a fly is just like that first time. There's nothing else in the world quite like it. 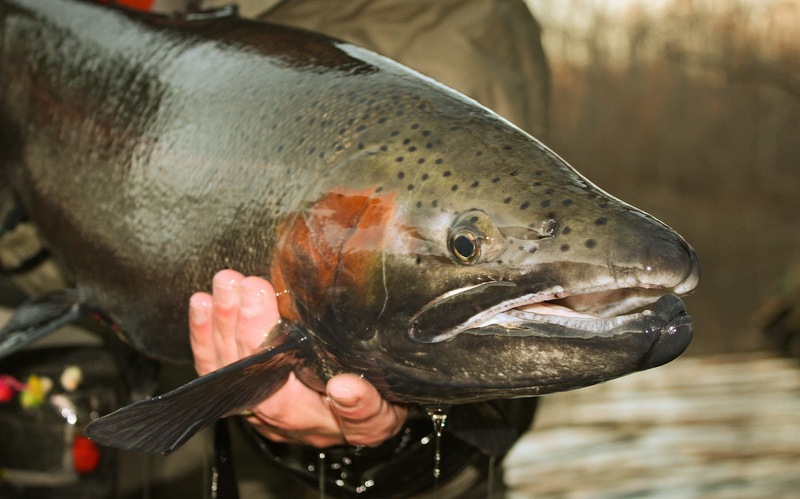 Steelhead never lose their appeal; they never fail to impress. There is little I would rather do than throw a line in the hopeful anticipation of that first hookup. It was a long, hot summer. Thank God steelhead season is finally here. 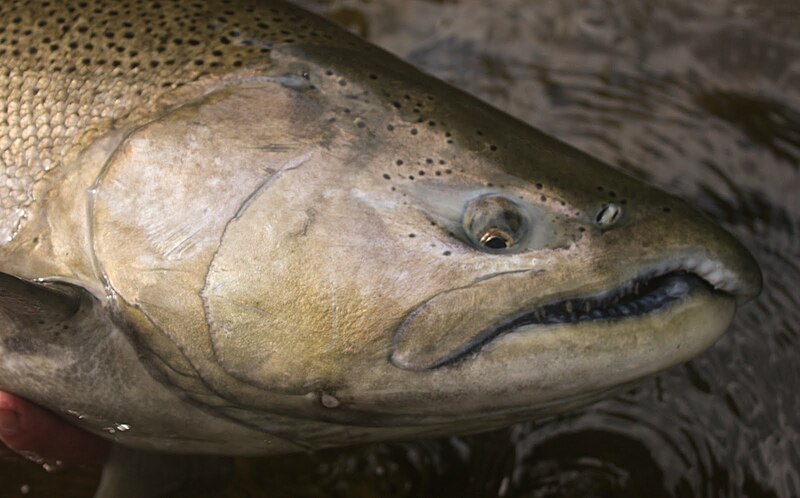 And in that monstrous aspect I see reflected a much more beautiful visage ... steelhead, following close behind the salmon, will soon arrive in numbers that inspire dreams and tremors alike. There are those days when we need things to happen. If you've been a bug chucker for any length of time, you know exactly what I mean. 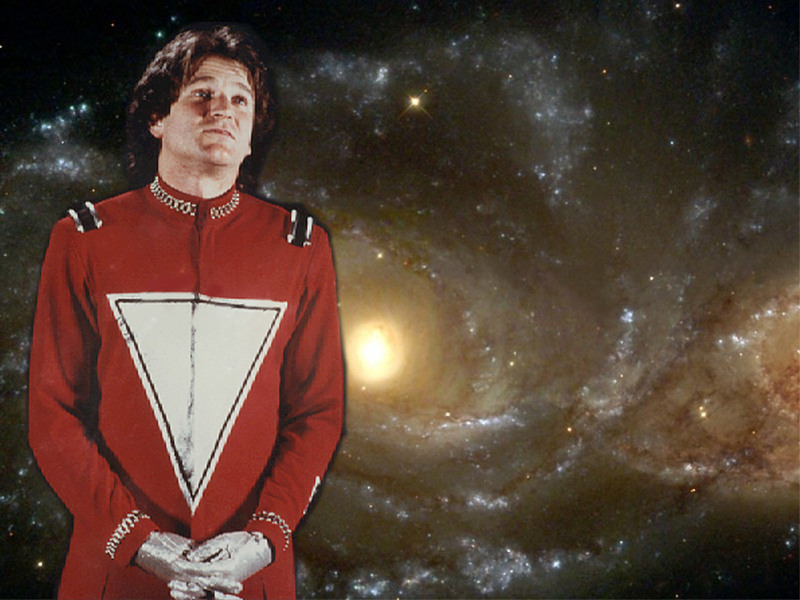 We need everything in the universe to come together, and to do so with a minimum of fuss. 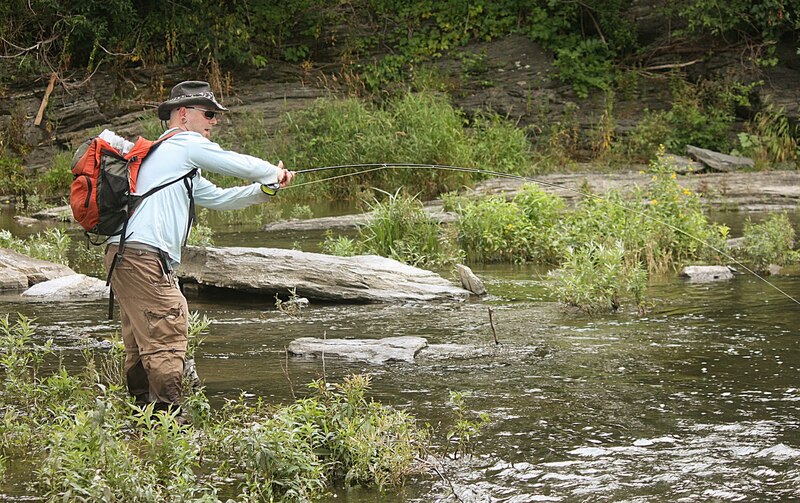 The weather, fish, wading and casting must blend into a seamless harmony. Of course, if you've been a bug chucker for any length of time then you know that the river gods rarely see fit to grant us such moments. Far too often, the universe conspires against us. The wind is too strong. The hatch comes off late, or not at all. Our knots fail. Waders leak. In these moments, we do what long rodders have always done. Faced with variables that exist outside of our ability to predict or control - we soldier on, and try to make magic happen in spite of the river gods. We clench our jaws, and push double-hauls into the wind. 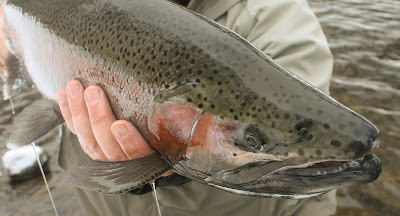 We run loaded rigs of split shot and heavy bead-head nymphs when all we really want to do is cast a delicate no-hackle dry to browns feeding on top. We leave the flats, fish off the shelf, and have little to show for our efforts other than sunburn and sea churned nausea welling in our guts. These are the moments when fly fishing starts to feel too much like work, and needless to say, fly fishing should never feel like work. What do we do? How do we bug chuckers avoid the malaise that sometimes accompanies a fruitless day on the water? 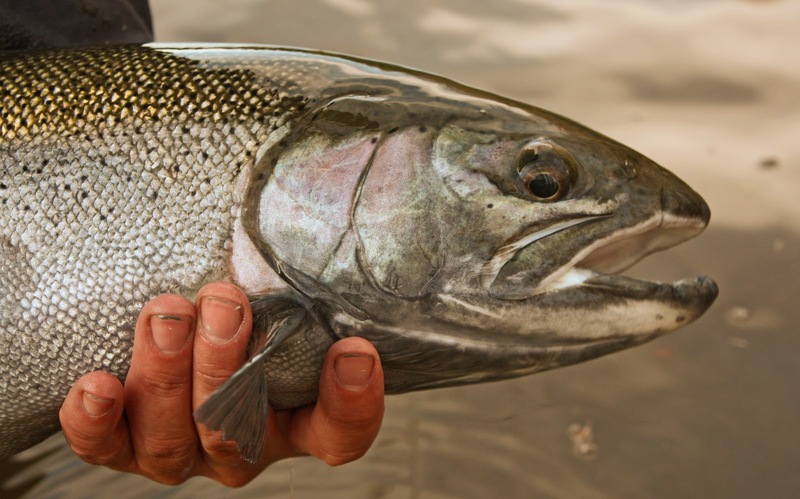 How do we turn the page on our frustration, and find satisfaction when fly fishing is ... well ... just a little less than satisfying? The answer - I suppose - lies in the periphery, along the edges of our poorly timed casts and slightly beyond the fish that is snubbing its nose at our poorly tied flies. We need to appreciate the small things, those little victories that can mean the difference between having a good day and sulking on the drive home. I'm suddenly reminded of my years working in a fly shop, and a gentleman that came into the store on one otherwise nondescript evening. 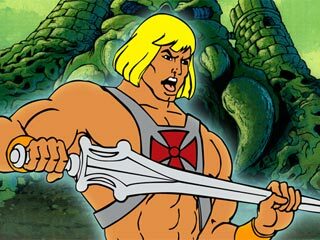 He looked haggard, much more so than the legion of other bug chuckers who've been soundly throttled by the Battenkill. Sheepishly, he approached the sales counter; I noticed his hands were shaking, and he cleared his throat several times before speaking. "Uhh ... is there a free clinic in town?" "Pardon me? How can I help you sir? "A clinic. Is there a clinic in town?" With a grimace he turned his head to the side, and it was all I could do to stifle a laugh. There, in the cartilaginous flesh behind the man's ear - in that nebulous bit of space between the jaw and skull - was a #6 beadhead Prince Nymph. The fly was buried to the hilt, well past the barb, and would require the skilled hands of a physician to remove without further injury. Sure I could have done it, and had it been my ear I probably would have had at it while standing in the middle of the river, but I wasn't going to be responsible for this fella' needing a Miracle Ear the rest of his days. I pointed him in the right direction, and had my laugh once he was out of earshot. And that's the one. 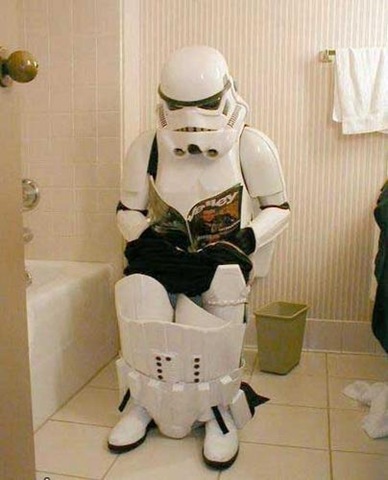 That's the image I keep in mind whenever the day isn't going the way I'd like. No matter how badly the river treats me, no matter how poorly I perform (piscatorially ... I mean), I am not the Prince Nymph guy. My ear drum isn't impaled by half an inch of chemically sharpened steel, and I've never had to suffer the humiliation of asking another bug chucker for directions to nearby medical assistance (although I have come close). This little nugget usually makes for a pretty good day when everything else seems a distraction.